In an effort to encourage tourism, New York City has just opened their freshly remodeled Manhattan Marriage Bureau. Couples interested in a civil marriage, can now obtain their license with some additional fanfare the government building. with revenues tight and tourist dollars desperately needed, the Bloomberg administration has created a 24,000-square-foot wedding palace, in the hope of increasing the number of couples who marry at the city clerk’s office. If you like the idea of a Manhattan wedding but don’t want to have the ceremony in the city’s Marriage Bureau, just call on your local ULC minister. 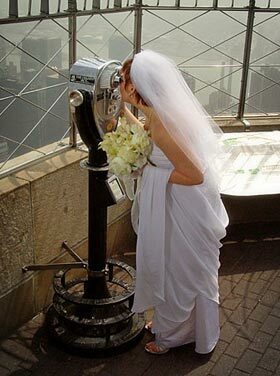 We can provide all of the documentation necessary to register a marriage officiant in New York City.